AIIMS (All India Institute of Medical Science), one of the most esteemed medical institutes in India, is going to conduct its entrance examination for an MBBS course in the New Year—2018. Right now, it boasts of 807 seats with nine institutions in different cities, with two new institutions in Guntur and Nagpur. 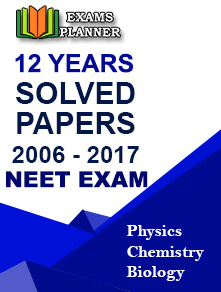 The entrance examination is so hard that only brilliant candidates are able to crack it. In order to select the right candidates, AIIMS has declared its cut off marks for giving admission to candidates. What role do cut off marks play? Candidates should take note that cut off marks are the least qualification required in order to be eligible for an MBBS seat in any of the AIIMS institutes. But, it does not guarantee admission to students. In order to be secure for admission, candidates need to get a position in the merit list, for which cut off marks is different from the cut off marks required in order to be eligible for admission. The merit list cut off is tentative and varies with respect to passed candidates and availability of seats in the various institutes of AIIMS. Those candidates, who are selected according to a merit list cut off, are called for counselling. The admission process is very tough and candidates face lots of hardships. How is the entrance exam conducted? 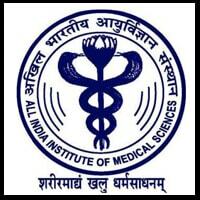 The MBBS entrance examination of AIIMS is conducted in two shifts—morning and evening—in two days. The question papers are different for all four shifts. The entrance exam is held in midst of tight safety and security to thwart any dishonest means. Strict actions are taken against violators of the exam. The duration of the exam is three hours and thirty minutes. All in all, there are 200 questions and maximum marks are 200. 1 mark is given for every right answer and 1/3 mark is deducted for every wrong answer. So, candidates are advised not to try their guesses if they are not sure about their answers. A loss of 1/3 marks can affect their rank. Hence, it is very important for candidates to know AIIMS’ MBBS cut off marks to seek admission to any prestigious institute of AIIMS. If they score the cut off marks in the entrance examination, they will be eligible for admission or else they will be shunned. Keeping cut off marks into consideration, they should spare no pains in preparing for the entrance examination. A merit list cut off has no certain percentage. It may go very high according to the circumstances. So, candidates should try to score as many marks as they can.